Duhome Home Office Chair Task Computer Chair with Wheels Swivel Height Adjustable Working Stool (White) by Duhome Elegant Lifestyle at Momiji Studios. MPN: WY-509B. Hurry! Limited time offer. Offer valid only while supplies last. The individual height adjustment allows working more comfortably and makes the stool in different situations. 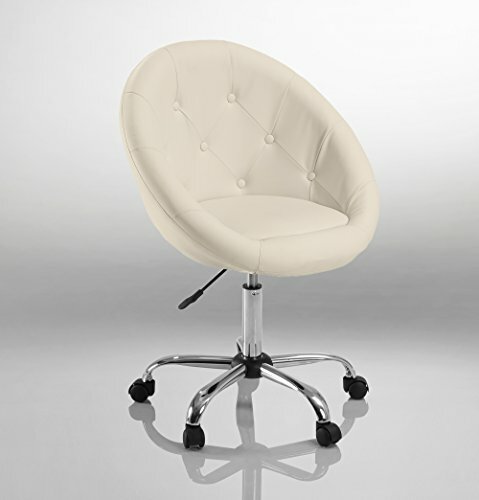 With the trendy design this roller stool is particularly suitable for use in professional salon. Also suitable as a modern office chair is the roller stool. Also, it great to use in the home.